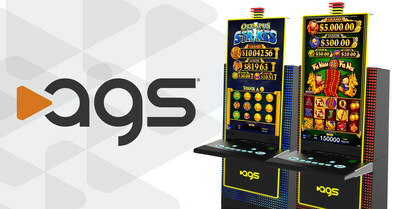 LAS VEGAS, April 17, 2019 /PRNewswire/ -- AGS (NYSE:AGS) (or the "Company") today announced its first game placements in Pennsylvania at Parx Casino® in Bensalem, a suburb of Philadelphia. The games went live on the Parx casino floor last week, with more games slated to debut across the state over the next several months. ©2019 PlayAGS, Inc. All® notices signify marks registered in the United States. All ™ and ? notices signify unregistered trademarks. Products referenced herein are sold by AGS LLC or other subsidiaries of PlayAGS, Inc.